The ability to learn gives security-focused AI and ML apps unrivaled speed and accuracy over their more basic, automated predecessors. But they are not a silver bullet. Yet. Machine learning (ML) and artificial intelligence (AI) are not what most people imagine them to be. Far removed from R2-D2 or WALL-E, today's bots, sophisticated algorithms, and hyperscale computing can "learn" from past experiences to influence future outcomes. This ability to learn gives cybersecurity-focused Al and ML applications unrivaled speed and accuracy over their more basic, automated predecessors. This might sound like the long-awaited silver bullet, but AI and ML are unlikely, at least in the near future, to deliver the much-heralded "self-healing network." The technology does, however, bring to the table a previously unavailable smart layer that forms a critical first-response defense from hackers. AI and ML would be complete game changers for cybersecurity teams if not for the fact that hackers have also embraced the technologies. This means that, although AI and ML form an increasing part of the cybersecurity solution, they more frequently contribute to the cybersecurity problem. So, when thinking about AI and ML, it's important not to take an insular approach. Don't just focus on what your company needs in isolation. Consider what your competitors might be adopting in regard to scanning technology for locating security defects in code or vulnerabilities in production — and how you can best keep up. Think about what hackers could be deploying — and how you can counter it. Working in this way will help identify the new policies, procedures, processes, and countermeasures that must be put in place to keep your organization safe and to get the full benefit from any investment in AI and ML. When the IT world first started talking about AI and ML, there was a deep-rooted concern that "the robots" would take over human jobs. 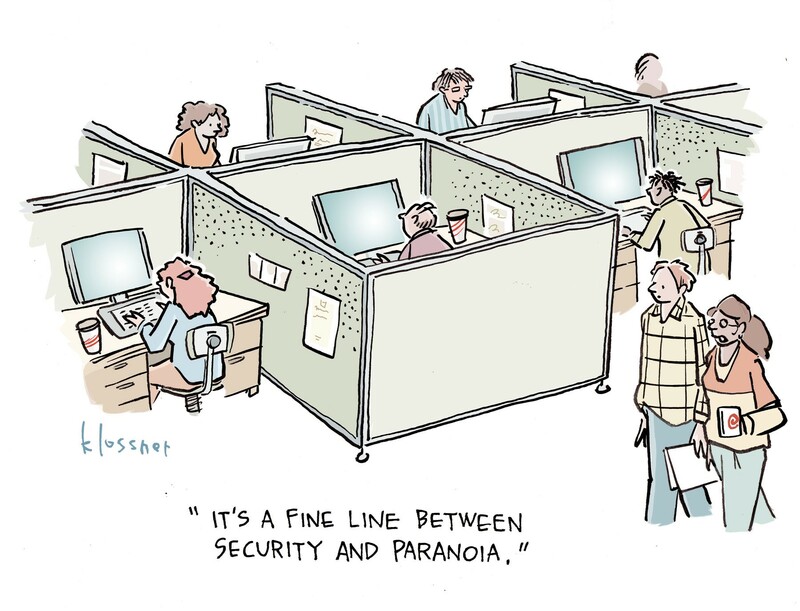 In the cybersecurity sector, nothing could be further from the truth. No enterprise actually wants to give up human control of their security systems and, in fact, most organizations will need more security experts and data scientists to operate or "teach" the software. Let's take a minute to understand why. Without human monitoring and continuous input, the current generation of AI and ML software cannot reliably learn and adapt; neither can it highlight when the data sets it relies on are becoming corrupted, question whether its conclusions are correct, or guarantee compliance. Indeed, most AI and ML projects fail when either the software hasn't been programmed to ask the right questions in order to learn, or, when trying to learn, the software is presented with flawed data. More will fail in the future if they cannot demonstrate compliance with global legislation and industry-specific regulations. Longer term, use of AI and ML to combat cybersecurity threats might bring about closer coordination between cybersecurity professionals and data scientists. It's not unfeasible that cybersecurity teams might recruit data scientists or that companies will begin to look for cybersecurity experts with specific data science expertise. Eventually both roles and disciplines could even merge. So, far from discouraging graduates to study cybersecurity, AI, and data science, the growth in both technologies should encourage students to take these courses and acquire some specialization in the field. Looking broadly across the IT security sector, the current skills and knowledge gap is unlikely to go away — and, in fact, as companies struggle to understand AI on a practical level, the number of open job vacancies could increase. It's important that we as humans don't lose the capacity to oversee and manage AI and ML technology — in particular, that we don't abdicate responsibility for the outcomes produced by AI and ML software. The law has some catching up to do in this regard, but we already are seeing a lot more written about AI and ML transparency, trustworthiness, and interoperability — particularly for those using AI or ML within regulated markets such as banking and insurance. It is a brave new world out there. So, stay abreast of new AI- and ML-based cybersecurity technologies, products, and services. Some of these are going to be real industry turning points, and you don't want to be the last person finding out about them. As AI and ML begin to play even more direct and obvious roles in IT infrastructures, it's vital for cybersecurity folks to keep their knowledge current and relevant. Try to get to at least one conference a year on the topic, jump on a webinar once a quarter, read some quality independent research each month so you have a real feel for what's happening out there. This is the next frontier, and it's time to boldly go. Very useful blog with clear standardisation and great quality.